We do what we say, and say what we do. We provide complete transparency upfront so there are never any surprises. We promise to keep you up-to-date and informed every step of the way. Plus, you’ll receive a job schedule so you can keep track of our progress 24/7. No cutting corners. No sub-par materials. Only the highest quality craftsmanship and service, from start to finish. We are a full-service general contractor providing complete insurance restoration and reconstruction for fire and water damage, mold remediation and emergency board up as well as construction services. Ikon is licensed and certified to make sure a flooded house doesn’t turn in to a health hazard for your family. When you are devastated by a fire turn to Ikon with the experience to assess the hidden damages caused by fire. Sometimes a hidden leak turns into a big problem. Call Ikon to properly remove mold affected materials before someone gets sick. We clean and restore items damaged by fire and water, reducing your losses and restoring irreplacable items and keepsakes. With more than 40 years experience in General Contracting, Ikon is fully qualified to assist with all your construction needs. 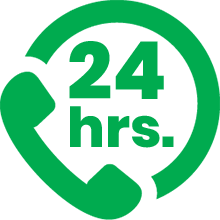 Whether the fire department broke out your windows, or a storm blew off you roof, call Ikon 24/7 to secure your property. At Ikon Builders, we do things differently. We put our customers first and go above and beyond what typical contractors do. No games, no gimmicks, no surprises. We understand how difficult it is for someone to experince a fire or water damage loss in their home. We have been doing this for four decades, and have been through it all with our customers. We are here for you, from start to finish. Our core values are integrity, communication, and quality - and that’s our promise. You’ll get honest, fair, and transparent service from a qualified team you can trust.